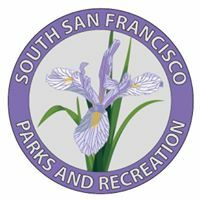 The Parks and Recreation Department will host a community meeting on Wednesday, September 19, 6:30 pm – 8:00 pm, at the Joseph Fernekes Building (781 Tennis Drive, SSF). Staff will provide an overview of the sports fields in South San Francisco, including ownership and maintenance; review maintenance challenges and ongoing efforts to enhance conditions; discuss renovation plans identified by the Parks 11 initiative; and review the anticipated timing of developer fees needed for necessary upgrades. Public comments regarding user group priorities and future improvements are welcome and encouraged. We look forward to seeing you there! Pretty sure this guy can donate some money to our fields for kids.